2nd of December, time to reveal day two’s BB Advent window. Aah! 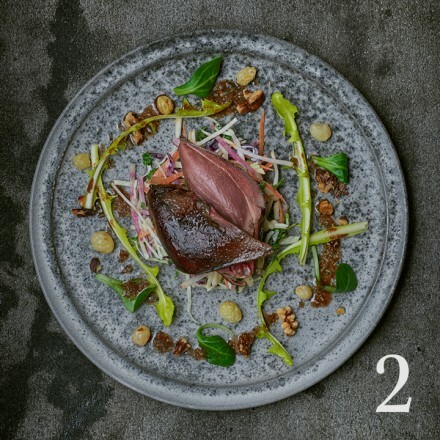 This exquisitely delicious wild wood pigeon salad with winter coleslaw, photographed by the award-winning Jean Cazals. A perfect starter for any festive meal, rich yet delicate, we’ve put the recipe up if you fancy trying it yourself. Just visit our recipe page for this gorgeous dish alongside many other stunning recipes. Don’t forget to tag us on facebook, instagram or twitter with the results of any of our recipes that you try.